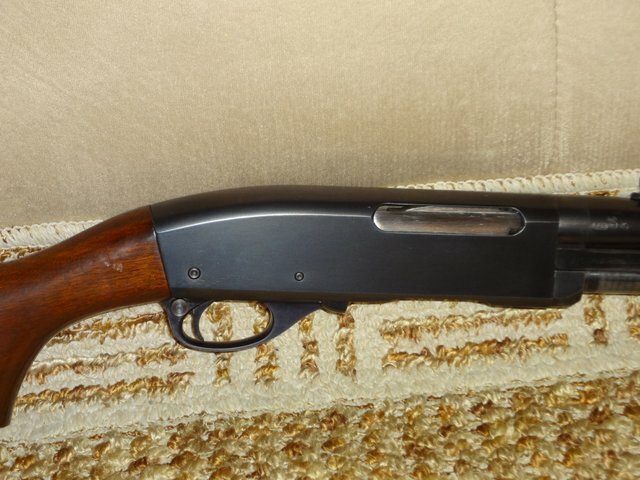 I made a tentative offer on a mid-fifties 760 carbine supposedly in very good condition. I have a friend checking it out for me before I hand over the cash. No pictures yet. Good stuff Mac...looking forward to the pics mate. The old "Gamemaster", it is a great pump and I had one in 30/06 that has been passed down to my kids and it still performs flawlessly. I also agree with Gil that I don't see many of those rifles around anymore. The 760 is a good match for the .35 Remington cartridge. 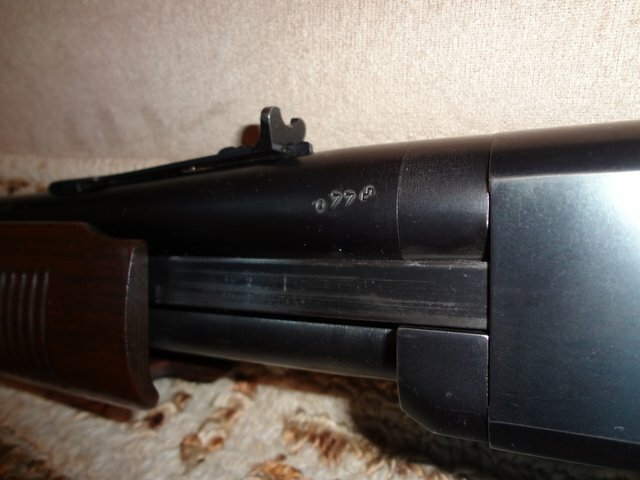 There used to be rumors floating around that the 760 had a tendency towards head space problems with the .35, but my personal opinion is that they should have blamed the cartridge rather than the rifle. This is a problem that can be found with most any rifle chambered for the .35. Factory ammo shoots just fine in one but the problem often comes when reloading. Most .35 Remington sizing dies, when set according to recommendations, set the shoulder back a touch too much. This can result in miss-fires and prematurely stretched cases with case-head separations eventually. The trick is to adjust the dies to just touch the shoulder on once-fired cases and check for function. You can always set it back a tiny bit at a time until it functions perfectly in your rifle. The .35 Remington is a fine cartridge that packs a good wallop for brush hunting of deer and black bear (pretty much what it was designed to do) and is as effective for this purpose as any of today's more "modern" cartridges. Thanks for the tip SSL. I am looking at reloading the. 35. Any suggestions on bullet or powder would be much appreciated. I load 180 gr Speer FN with IMR 3031. Works great in my Marlin Lever. 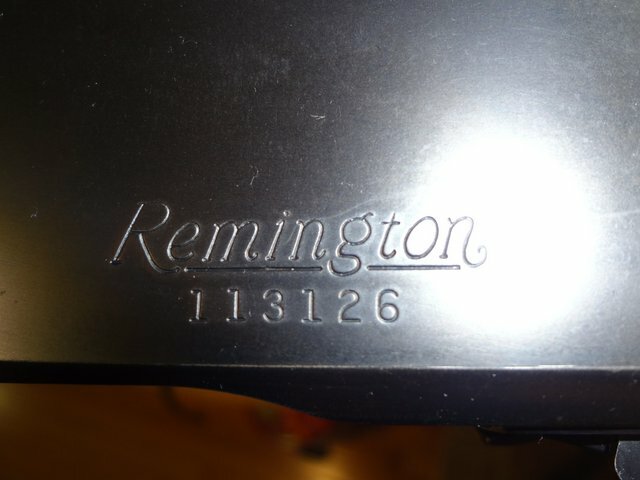 I don't load a great deal for the .35 Remington, but I have been using IMR 4064, H322 and Accurate Data 2200. All have performed well and the last two, being spherical powders, meter like a dream. So the deal was done and it arrived yesterday. I know it isn't fancy but it is a solid , well maintained rifle that the original owner obviously cherished. The ZZ stamp confirms year of manufacture was 1953. The bore is shiny, rifling sharp and chamber and throat with no visible pitting or wear. 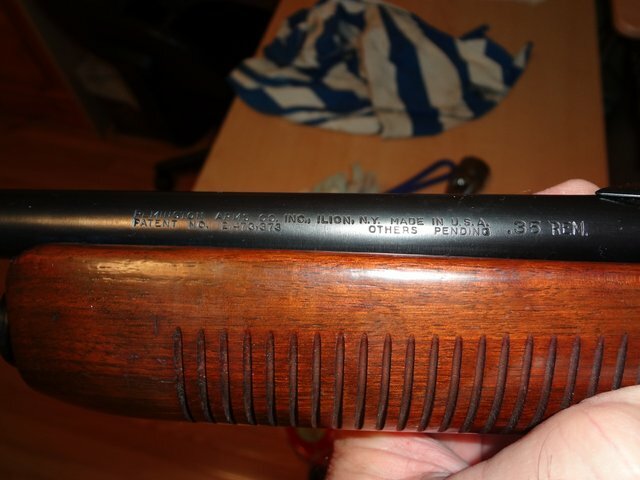 The stock has a few minor dings but as you can see the bluing is very good with the only wear showing on the slide rails and tube. 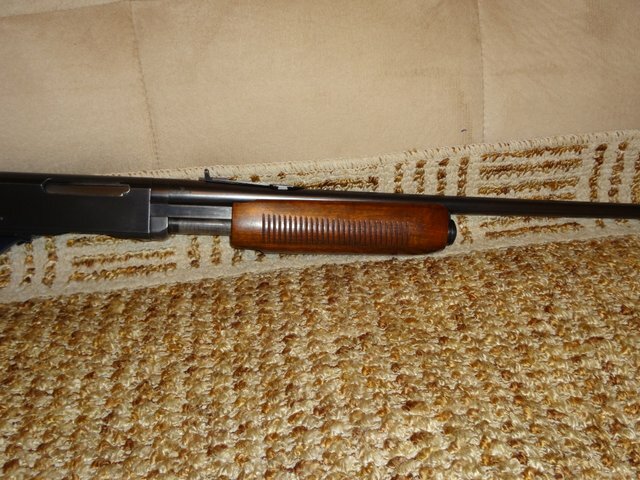 I broke it down and gave it a thorough cleaning right down to the firing pin. My only complaint is it will take some practice before I am proficient at getting it back together. I have a feeling this one will be on next years moose hunting expedition. Nice find! Don't let the occasional "ding" bother you. Just adds honest character. If they do bother you, it looks like the ones I can see could mostly be steamed out if you are looking to refinish it. Lots of luck and looking forward to seeing how it shoots. Note: I am of the clan that bigger is better and there is no such thing as too much gun... but my sensitivity to recoil limits what I shoot. You do have a very nice gun there and I am sure you will use your best judgement in selecting the correct gun for the game you hunt. My brother hunts the big mulies with a 6mm TCU and does fine shooting head and neck shots with bullets that "expand violently" on impact. We are extreme opposites in the gun selection department but our techniques are very different too. Respect your opinion Paul. I have hunted moose with the 30-30 successfully a number of times. The 35 exceeds it in terms of hitting power. The bullet I intend to use will be a jacketed round nose in 200 grain with 40 grains of Varget. This produces a little over 2000 fps and 1776 ft pounds. I have shot most of my moose a ranges less than 100 yards. I have seen too many animalsleft wounded by people who carry the biggest magnum they can buy and then take long shots believing that almost any hit with their big rifle will bring the animal down. You are absolutley right that shot placement is the most important factor and by definition this means the shooter must have the self discipline to choose the right shot. On a final note, it is my experience that a lung shot moose will not carry the shot well. They will drop quickly and even when they they do run they leave a clear blood trail. Wait 10 minutes and it will be laying down and if still alive unable to get up. I have never heard a reliable report of a bull moose charging a person. I think the anecdotal stories are really situations where a miss that hits close to the animal or the bullet whizzingby causes the moose to run away from the sound and often this is in the direction of the shooter. I have seen bear do this several times. Unless cornered every ungulate will instinctively choose flight over fight. The only moose attack I have ever heard that I belive is when a good friend made the mistake of getting too close with his new car to a cow that was standing in the middle of a road. It did a quick tap dance with its front hooves on his hood. When he stuck his head out the window a yelled at it the moose ran off into the brush. I saw the car. It was pretty banged up.